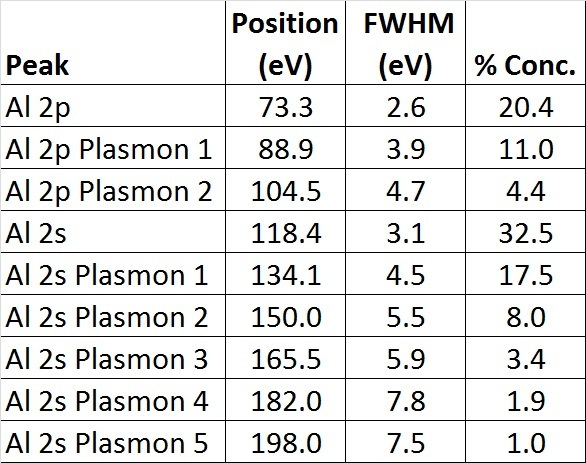 For some materials, plasmon loss peaks may occur. These involve an enhanced probability for loss of a specific amount of energy due to the interaction between the photoelectron and other electrons. For conductive metals, the energy loss (plasmon) to the conduction electrons occurs in well-defined quanta arising from group oscillations of the conduction electrons. Plasmons attributed to the bulk of the material and its surface can sometimes be separately identified. 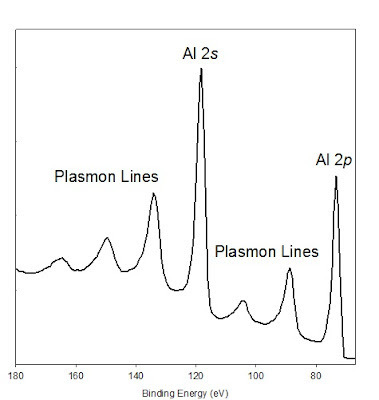 An example of plasmon loss peaks in a spectrum of aluminum metal is presented in Figure 1. In some cases, such as with Al, the plasmon loss structure can interfere with the assignment and quantification of other spectral peaks such as Si 2p, Si 2s and P 2p. Figure 1. 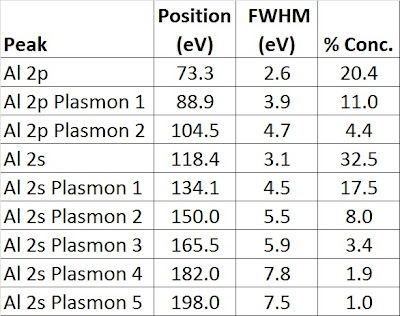 Plasmon loss structure in a spectrum of aluminum metal.